Christmas dinner is by far one of my favorite meals of the year and one I look forward to pretty much from New Year. In Britain, the Christmas dinner table looks pretty much the same for most families. At the center of the table is an almighty turkey, stuffed of course, and around it sits roast potatoes and vegetables, sprouts, pigs in blankets, cranberry sauce, bread sauce and pools of gravy. I can't explain how much my mouth is watering after writing that out. 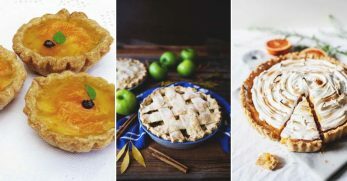 It was so interesting to research different festive foods, in order to make an epic list of all the things you should consider making for your table this Christmas. 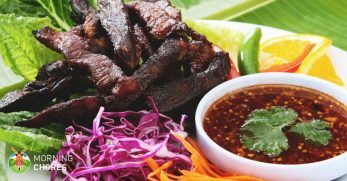 From the appetizers to the all-important crown jewels that is the meat choice, there is bound to be something new you'll be dying to try out. 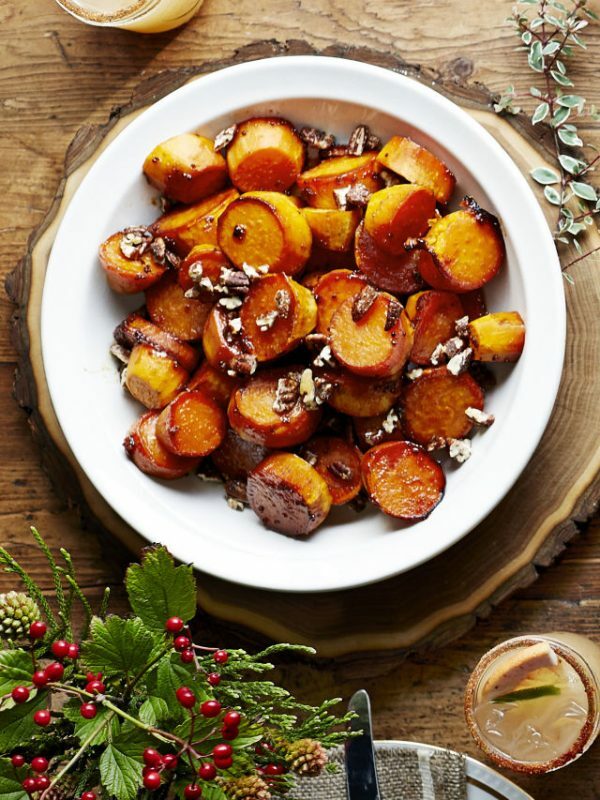 Sweet potatoes are a classic accompaniment to a Christmas dinner, and their sweet flavor provides a way to balance out the more savory and salty flavors that many other dishes have. This Glazed Sweet Potato recipe includes cinnamon, the ultimate festive spice in my opinion, and lots of other yummy ingredients, including the suggestion to add candied or spiced pecans. This would add a nice little crunch, as well as something that is just a little bit different to a plain sweet potato dish. I would probably make these Brie and Cranberry Twists either as an appetizer on the big day or even at festive parties throughout the season. They look like something you would buy from a store, despite being incredibly easy to make, and probably far more cost effective to make yourself. Brie and cranberry is a classic flavor combination, especially at this time of year, but you could definitely experiment with different cheeses and fillings for these little pastries. 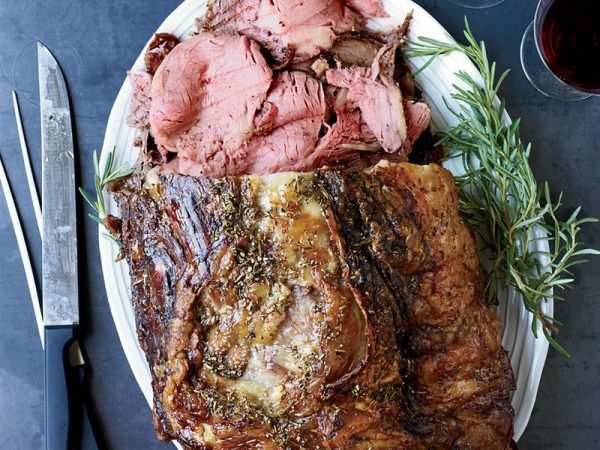 This Beef Rib Roast looks absolutely delicious and is packed full of yummy herbs and flavors. I love that this recipe also has a jus that goes with it. Of course, you could adjust the cooking time to suit the preferences of the people you are serving, but to me the way it looks in the picture is perfect, so I would follow the directions given. Beef is such a versatile meat in terms of what you can eat with it, there are multiple different options both for sauces and side dishes, so this would be a perfect choice to go with a massive spread. 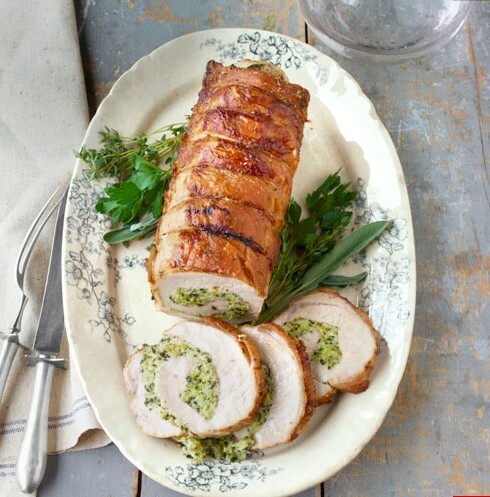 I am a big fan of any meat that comes with some kind of stuffing, or something rolled inside it like this Roast Pork Loin with Herb Stuffing. I just think it adds something a little bit extra and is a much more impressive alternative to serving stuffing on the side. If something like this is on a menu in a restaurant I will most probably order it, and that is mostly because I didn't think it previously achievable myself. 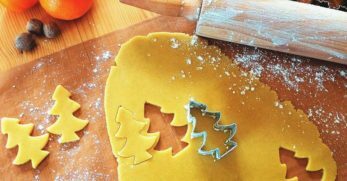 This recipe looks really easy to follow, however, and I can imagine that you would be incredibly proud when you place your finished masterpiece on the table. 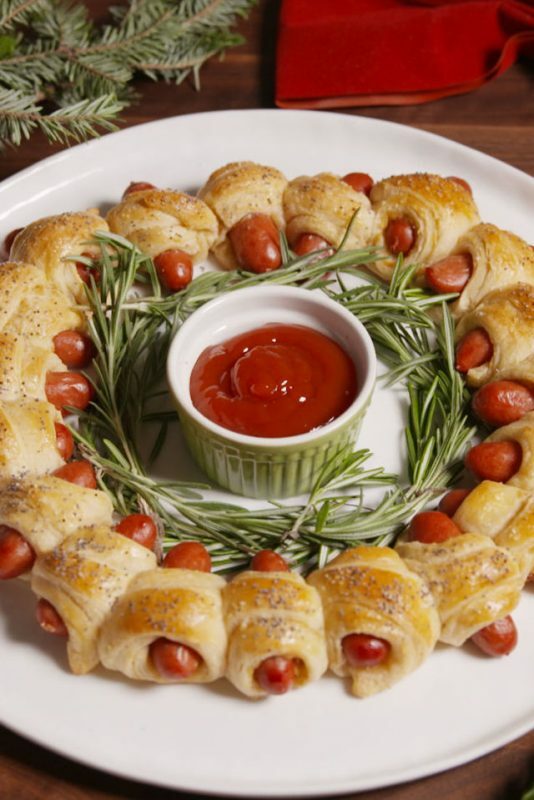 Now in Britain, pigs in blankets are little cocktail sausages wrapped in bacon, so this Pigs in a Blanket Wreath using pastry is interesting to me in more ways than one. It is such a lovely idea, and not only does it look amazing but it is incredibly easy to tear pieces off and dig in, meaning it would be great for big groups. You could really personalize this recipe, by trying out different types of sausages and sauces and also trying out different ways of decorating your ‘wreath'. 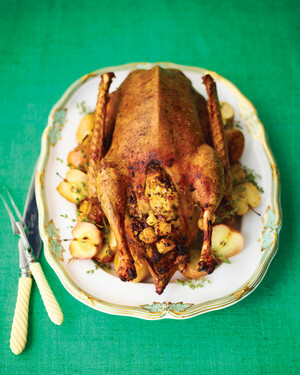 Turkey is definitely my Christmas meat of choice, simply because of our family tradition. We also don't celebrate Thanksgiving, so we never really eat it on any other day than December 25th. 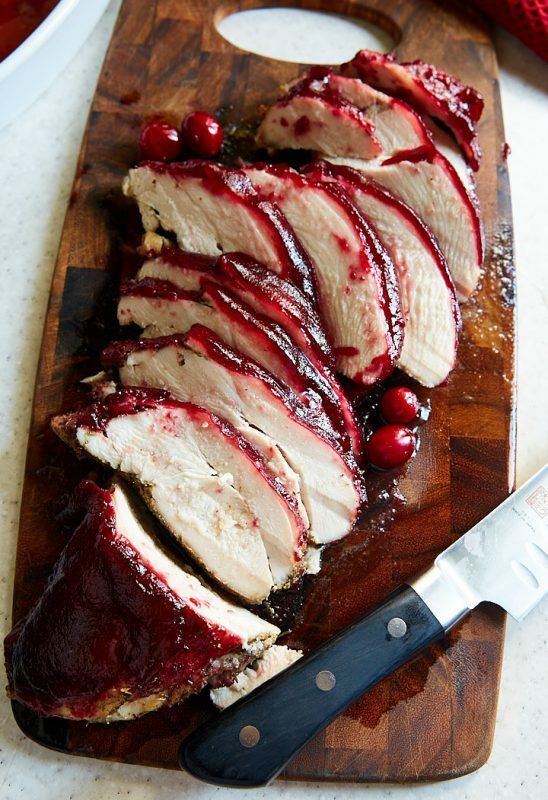 A lot of my family are big fans of cranberry sauce, so I feel like with this Cranberry Glazed Turkey recipe you can combine two parts of your epic workload and maybe save yourself a bit of time. Cooking turkey breast itself is far easier than cooking a whole turkey, so if you're a first-time host then this might relieve some stress, even if only a little bit. A prime beef rib is often referred to as the king of beef cuts, and it is not difficult to see why. 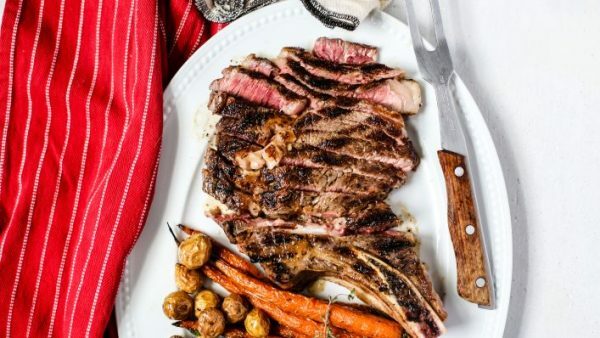 This recipe Roast Prime Rib recipe is not at all difficult to follow, and there really aren't too many steps, just prep the meat and then let the cooking do its magic. There are suggestions for both a seasoned butter and for an accompanying sauce, which I am a big fan of because I am a bit of a novice when it comes to figuring out what flavors go together without a bit of guidance. 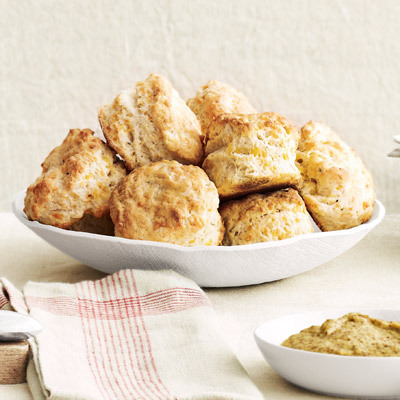 These Cheddar Biscuits would be a perfect addition to a Christmas dinner, as appetizers, a little something on the side, or even something to mop up that leftover gravy with if you're not already close to bursting. Biscuits like these are usually sweet at home, and I don't think I have ever tried savory ones so I am really excited to do so. I can imagine these would also be really great freshly baked and piping hot on Boxing Day to eat along with all those leftovers you will inevitably have. 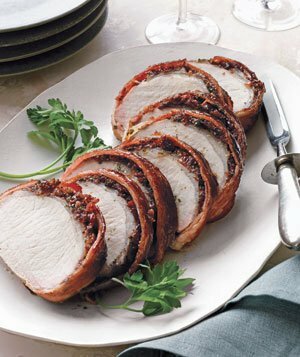 Anything wrapped in bacon is bound to go down well amongst most people, and I have no doubts that this Bacon-wrapped Pork Loin with Cherries would prove the truth in that statement. One of my least favorite things about pork is that it can often be quite dry, but that wouldn't be an issue at all in this recipe because of both the cut of meat and the fact that it is wrapped. I love the idea of that sweet and slightly sour cherry flavor contrasting with the salty bacon and can imagine it tastes absolutely delicious. Chances are if potatoes are an element of any dish, they will be my favorite one. I am close to obsessed. 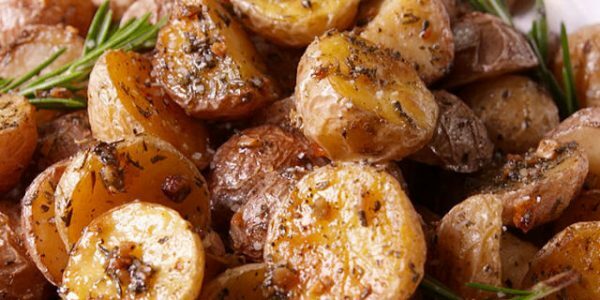 Of course, I love your standard roast potatoes, but it's always nice to change it up, and these Rosemary Roast Potatoes look like a perfect way of doing so. Just by looking at the photo you can tell that the crispy outside would give way the softest, fluffiest inside, which is exactly how a roast potato should be. They require such little prep time that you could get them ready right before popping them straight into an oven without having to worry about them hours before. I have never been confident enough in my cooking skills to even begin an attempt at a Beef Wellington, but maybe this will be the year. 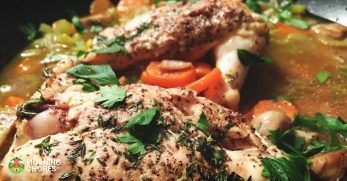 The recipe isn't the shortest, but everyone knows that it is a difficult dish to make, so once you set it down on the table in front of your awaiting guests it is bound to be entirely worth it. 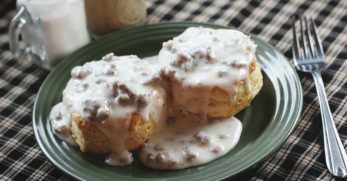 I am a big gravy fan, and the gravy suggested to make along with this looks so yummy. Even if I don't get the time or courage to make a full Beef Wellington, I will definitely be heading straight for that gravy recipe. 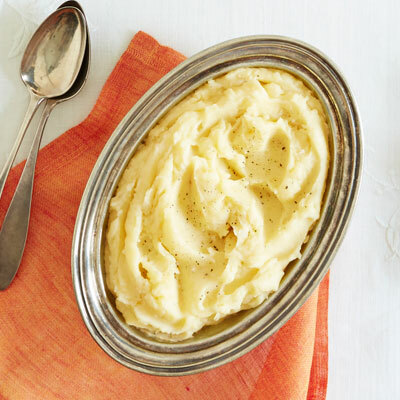 I am well aware that you don't really need a recipe to make mashed potatoes, but this one looked like it would make quite possibly the best ones you have ever tried, so it had to be included. My mom always used to get annoyed at my granny for feeding me and my sister mashed potatoes packed full of cream and butter, but of course, we absolutely loved it and I still have dreams about it to this day. Garlic is a much-loved flavor and would go extremely well with the rest of a Christmas dinner. Even if you don't want to make this on December 25th, I reckon it's a good one to have up your sleeve for any day of the year. Duck is one of my favorite meats, but we never tend to have it at home mostly because it can be rather pricey. Christmas is a time to splash out, however, and I would not mind spending a little bit more money in order to make a dish that looks this good. 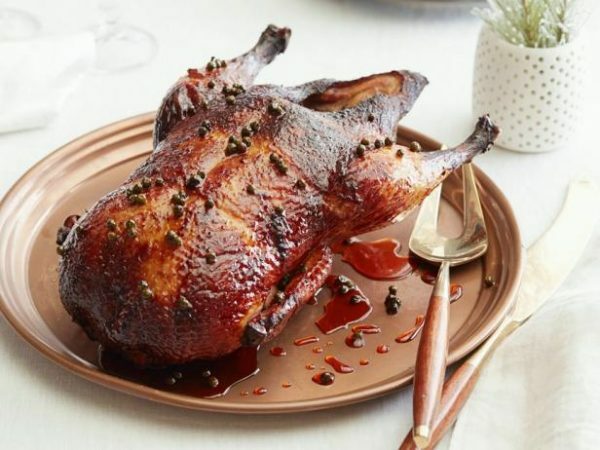 This Duck with Green Peppercorn Glaze is something a little bit different to the flavors that I have eaten duck with before, so that is really interesting. 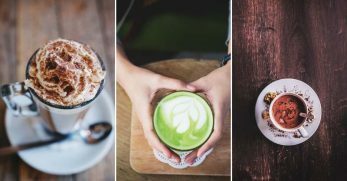 There aren't too many ingredients, and they aren't hard to come by, so you don't need to worry about running around specialized stores when your to-do list is already covering many pages. I will eat soup on the hottest of summer days, that is how much I love it. I will say though that my absolute favorite days to have it on are those chilly winter ones when the weather is raging outside and you are cozied up with a warming bowl of soup. 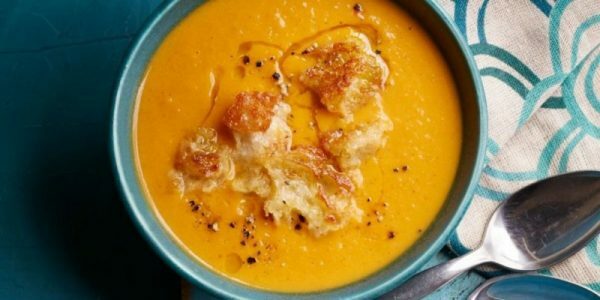 This Cinnamon Spiced Sweet Potato Soup looks like the most perfect winter warmer, and those maple croutons would give such a lovely crunch. All those festive flavors would make this soup a great option for a starter dish on Christmas Day. The amazing thing about soup is that you can make it ages in advance and freeze it, hello Christmas prep. 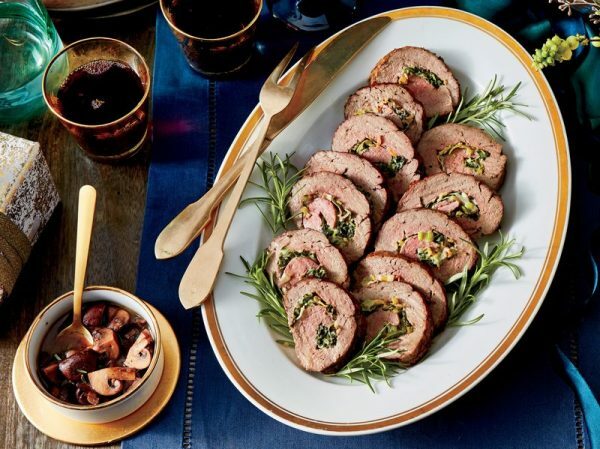 I really like that this Stuffed Beef Tenderloin is actually stuffed with vegetables like spinach and leeks. This provides such a nice and much lighter alternative to the classic stuffing, which especially when wrapped in meat like this can end up being overly stodgy. The burgundy mushroom sauce is really intriguing too, as it isn't smooth or blended like a usual sauce or gravy, instead, it has whole chunks of mushroom in it. Overall this dish just looks like something that is really quite different, and not as heavy as a lot of other Christmas meat options. It is hard to find something as easy to put together but as delicious to eat as a baked camembert, and it is a definite favorite in our house. 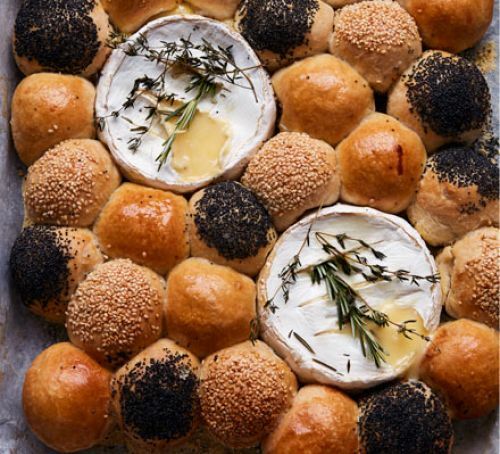 This Baked Camembert Dough Ball Platter looks perfect for a Christmas meal or party, and I can imagine it going down so well. The homemade dough balls would be so delicious dipped in, you could also branch out and try different things too. My sister and I love dipping vegetable sticks and baguettes into the cheese whenever we make this. There is also a whole load of ways in which you can flavor the camembert, some of my favorites are with honey and chilly or with garlic cloves and olive oil. I am going to come out and say that I have never actually tried goose, but I am a fan of all other poultry so I can imagine this would be no different. This recipe looks like it would ensure the crispiest skin ever, which is one of the bits you always have to fight for in my family. What really sold me on this recipe was the Dried Cherry-sourdough Stuffing. I don't think you would have to restrict yourself to using this only in a goose, I'm sure you could use it with other birds, or even cooked by itself as a dressing. This is a very simple, no frills Medium Rare Prime Rib Roast recipe. Exactly what it says on the tin. As much as I love all the big flavors of Christmas, not everyone does, so I think this would be a really nice thing to serve. 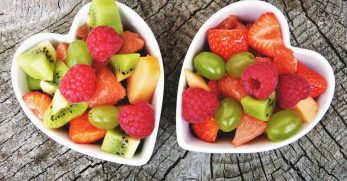 Because it is relatively plain so you could make it as an alternative option, meaning that you really could experiment with another dish with the comfort of knowing that you have something to fall back on. The only ingredients are the meat and a nice smothering of butter, which means minimal shopping and minimal washing up. 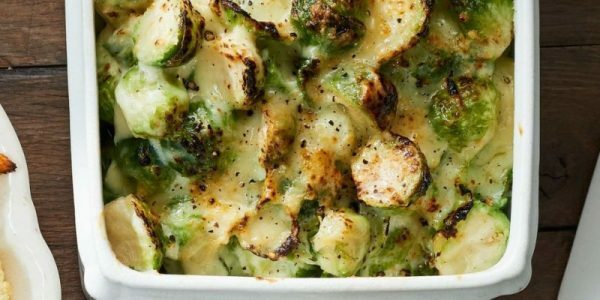 What is a better way to spruce up your sprouts this Christmas than by covering them in cheese and making a Brussels Sprout Gratin? I certainly can't think of one. I never used to be the biggest fan of brussels sprouts, but that was before my family started discovering far more interesting things to do with them than just boiling them and popping them on the table. 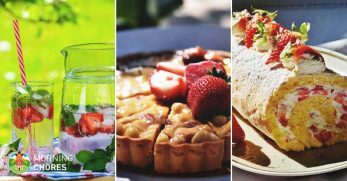 There are so many delicious and adventurous recipes out there, so have a look around and find something you know your family would love, it will totally be worth the extra effort. 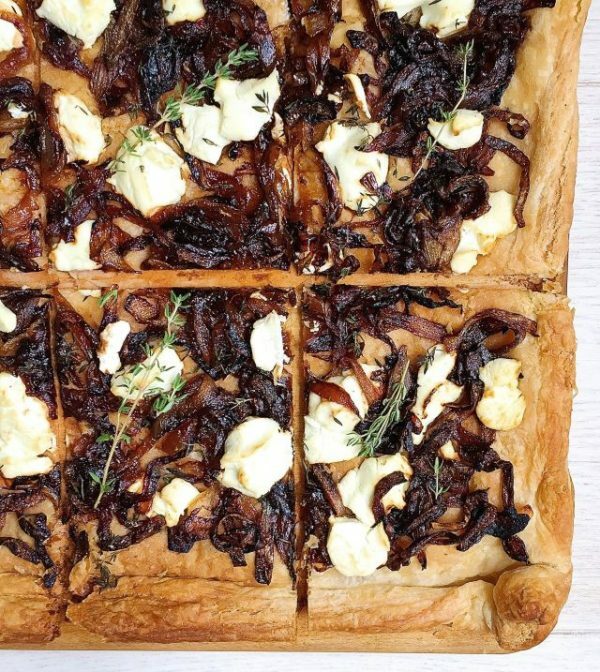 This Caramelized Onion Tart with Goat Cheese and Thyme looks like something you would see on a menu in a fancy restaurant, but it is in fact really simple to make yourself. This would be perfect to serve as a starter dish on Christmas, because it is suitable for many people and also very light so you wouldn't fill yourselves up before the big finale. Caramelized onion and goats cheese is a close to a heavenly combination for me, with the sweetness of those onions balancing out the unique flavor of the goats' cheese just perfectly. One thing about goats cheese is that it is pretty strong, so it is great that it is crumbled over the tart here to give the flavor without overpowering everything else. This really does sound like the ultimate luxury Christmas dish, and as much as it maybe wouldn't be ideal for serving up to the masses, it would be so impressive for a smaller intimate gathering. 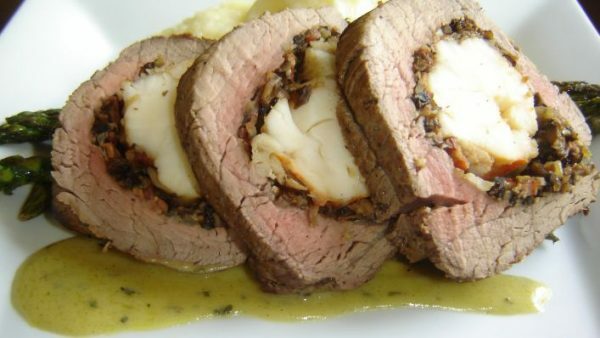 A forkful of this Lobster Stuffed Beef Tenderloin would just be layers of happiness, with the tender beef, then the mushroom stuffing with pancetta then that thick chunk of lobster tail. The béarnaise sauce is the perfect pick to tie it all together, and I was so surprised by how simple this recipe looks, as it is completely contrasting to how fancy the name sounds. That, in my opinion, is exactly what you want to be thinking when looking at recipes for Christmas food. 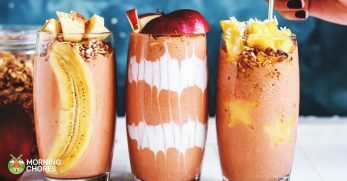 I wasn't quite sure what to think when I first saw the name of this recipe, but as soon as I looked at the photo and had a scroll through the ingredients I was instantly sold. 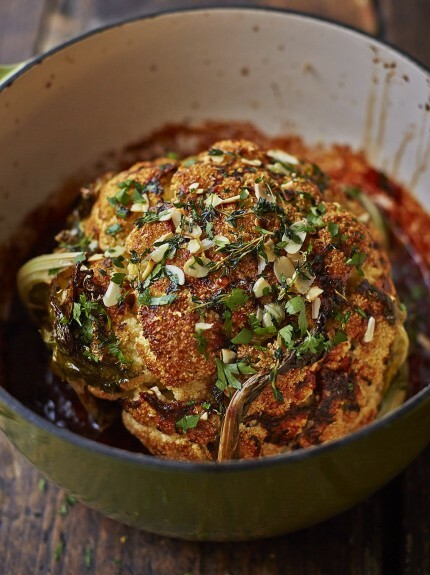 I am not sure that I could entirely swap my Christmas meat for a Whole Roasted Cauliflower, but I would definitely eat a large chunk alongside it, and I know that my sister who is a vegetarian would be extremely happy. I like that it includes thyme, which is a pretty classic Christmassy herb, but also things like paprika and almonds, which add something a bit new. This looks easy to make and cost-effective, and another great thing is that you can serve it as is, no need for fancy presentation skills here. 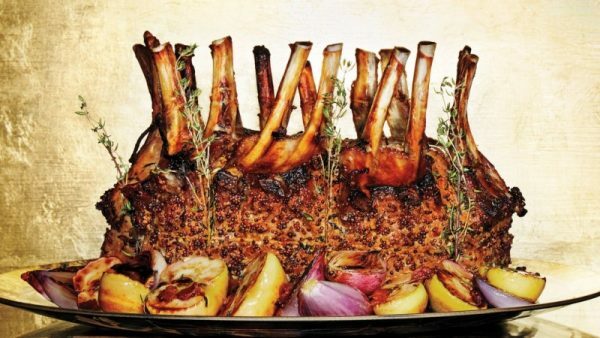 I would feel so proud placing this Crown Roast of Pork on my Christmas dinner table, it just looks so extravagant, and Christmas is the perfect time to go a little over the top in my opinion. All the ingredients are perfectly matched to one another, without them all tasting the same. There are apples but also mustard, and bacon but also brown sugar. I like that the shallots and apples are cooked with the meat, as they will absorb all those lovely flavors, and then you can eat them with the finished meat. I would definitely be making a gravy along with this and serving it up with some older roasted potatoes. 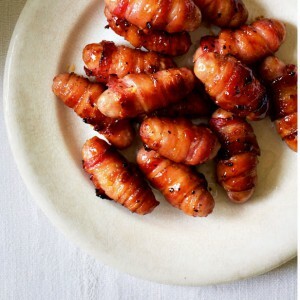 Now, these are traditional pigs in blankets to me, and every single year I can't wait to have these at Christmas. They are so easy to make, and always a winner. 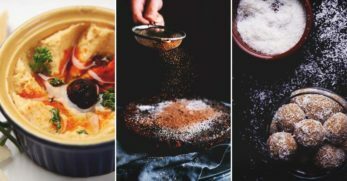 There are so versatile throughout the Christmas period, as they can work as a starter along with other things, an appetizer to pop into your mouth in one swift bite or as a side dish. Beyond that, they are even great cold or heated up as leftovers. We usually just do mini cocktail sausages wrapped in bacon, but I will definitely be adding honey this year as I think these look so sweet, sticky and delicious. 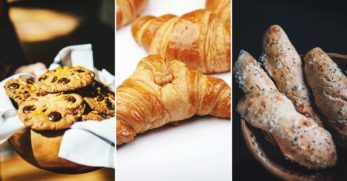 I find it so interesting that there are so many traditions for celebrating the same day, and food really varies between countries even when they're geographically close together. 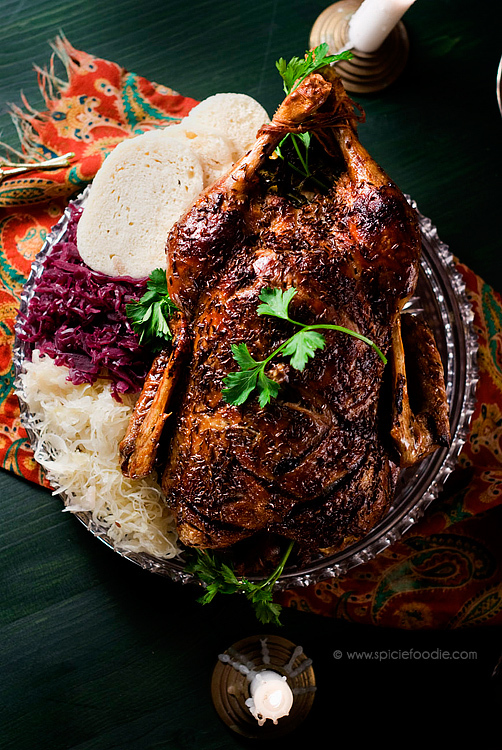 This Czech Roasted Duck looks delicious and different from what I would usually eat but also not so far from it that it would not feel festive. 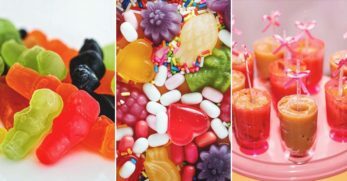 I expected there to be a whole lot of complicated ingredients that I had never heard of before when looking at the photo, but I was wrong and you could definitely find them all in any store. Duck itself is such a flavorsome meat that I definitely think it is best not to overload it too much with other ingredients. 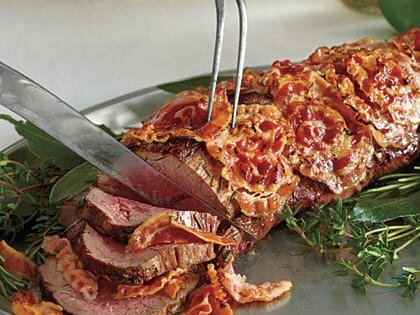 If you're planning on doing a Roast Beef Tenderloin for your Christmas meal anyway, then why not make it a little more exciting and wrap it in some pancetta? This will add a little touch of flavor to the meat, but not so much that anyone who doesn't like pancetta will be put off from eating it. My dad never eats beef without some form of horseradish accompanying it, so I really like that this also has a recipe for Whipped Horseradish Cream along with it. Because horseradish is a strong flavor, serving the cream on the side is a safer option when cooking for a group. Cauliflower cheese is an absolute must with any roast dinner in my family, so I don't see why Christmas dinner should be any different. 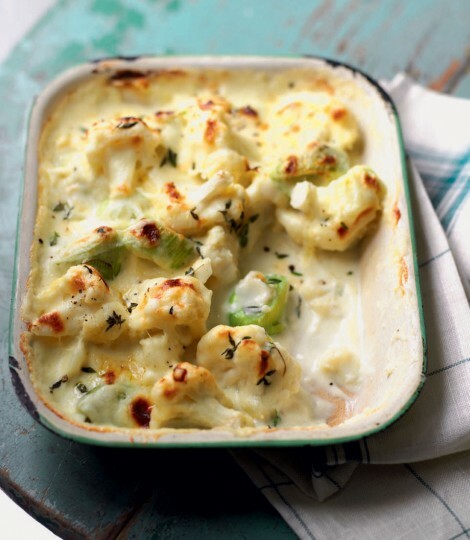 This Cauliflower, Leek and Cheese Gratin is like cauliflower cheese but cranked up a notch, and I really want to give it a try. 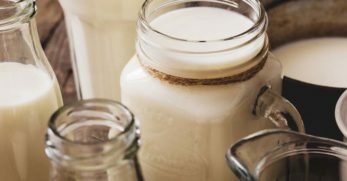 It is such a simple thing to make, and chances are if you haven't made it before then you will at least have made a cheese sauce meaning that you're halfway there. This recipe is made with cheddar cheese but I'm sure you could try out different ones, or even sprinkle some different cheeses over the top to bubble and melt into the gratin while it cooks. It has the word ‘Christmas' in the name and it looks delicious, which makes it good enough for me. You can't go wrong with a bit of puff pastry either. 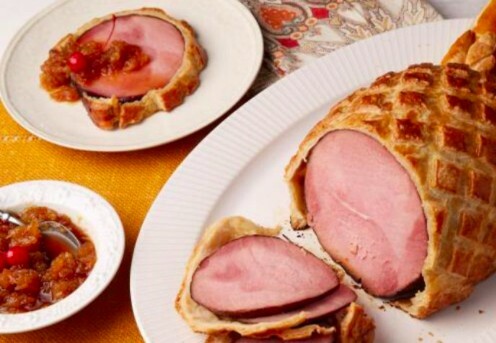 I like that this Christmas Ham wrapped in puff pastry recipe has taken the classic pineapple glazed ham and put a bit of a twist on it. Instead of having the pineapple cooked along with the meat it is cooked as a separate sauce, which is a really great idea to me. You can still get that amazing ham and pineapple flavor if you want it, but those who aren't the biggest fans of sweet and savory flavor combinations, like myself, can dig in too. 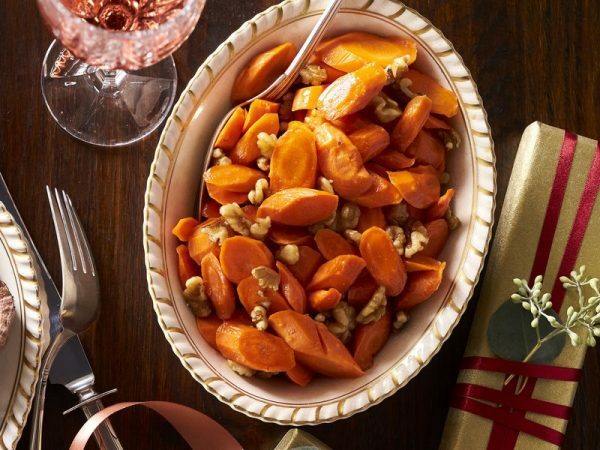 Glazed carrots are an obvious side dish for a Christmas dinner, but that isn't a bad thing. They are common for a reason, and that is that everyone loves them. There are multiple different carrot recipes out there but I really like the look of this one which is cider glazed carrots with walnuts. The nuts would give a nice crunch, and the cooking time really isn't long which is incredibly handy in terms of the heavy demand for oven space. The recipe even suggests using rainbow colored carrots which I think would give such a cool effect, and would definitely brighten up your Christmas table. 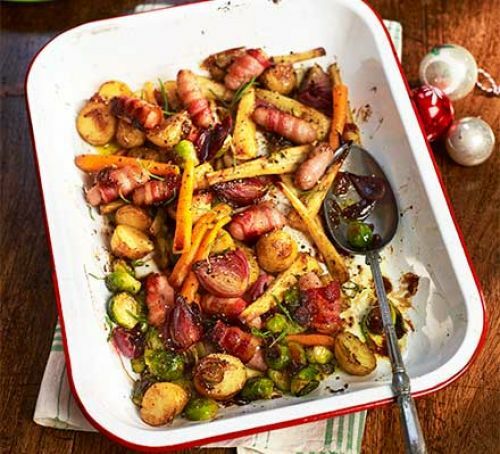 If you're looking for an easygoing and laid-back Christmas dinner this year then look no further than this All-the-trimmings Traybake recipe. The beauty of it is that you can pick all your favorite bits of a classic Christmas dinner to include and leave out whatever you aren't the biggest fan of. I think this is such a perfect idea for couples having a quiet Christmas, as you can have all the best bits of a Christmas dinner without making loads of different trays of things that you'll never manage to eat. This traybake along with a smaller cut of meat would do the job just great. As the recipe suggests it is also a great way to give leftovers a new lease on life. Pork Belly is one of my favorite cuts of pork, simply because it is always so tender and just melts in your mouth. I have never actually attempted to make it myself before, but I really would like to as it'd be a great thing to be able to make for guests. This specific Slow Roasted Pork Belly recipe looks pack full of yummy herbs, and really not too difficult to make. I can't even begin to imagine how crispy and yummy that pork crackling on top would be, especially with the soft meat underneath. This would be delicious with a nice gravy and roasted vegetables and potatoes. Even I, who am not the world's biggest mushroom fan, have to admit that these Roasted Mushrooms in a browned butter, garlic and thyme sauce really do look delicious. I am pretty sure the bowl would be wiped clean at the end of Christmas dinner. It looks like a lot more work goes into this dish than it does, and you know I love a nice effortless recipe. The recipe says that browning the butter before adding the mushrooms to it creates a slightly nutty flavor, which I really like the sound of but have never come across before. 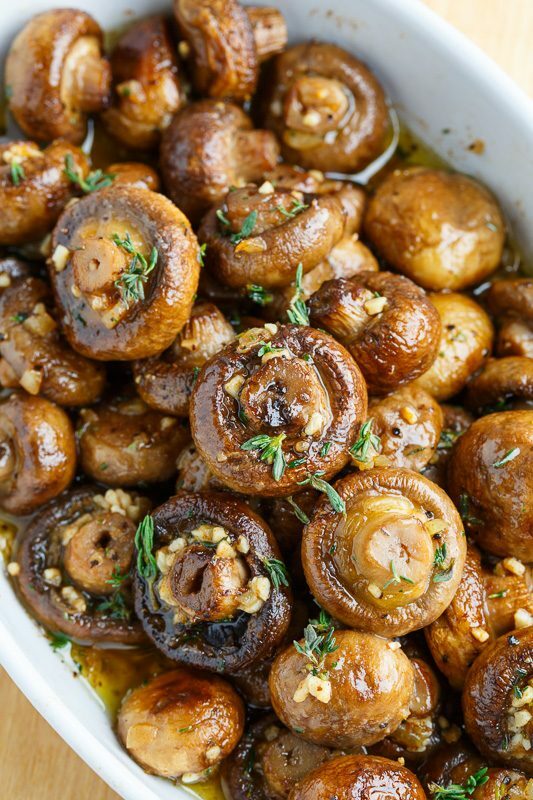 Because the flavors of the thyme and garlic are so versatile it means that you could serve these mushrooms with so many different other side dishes and meats. 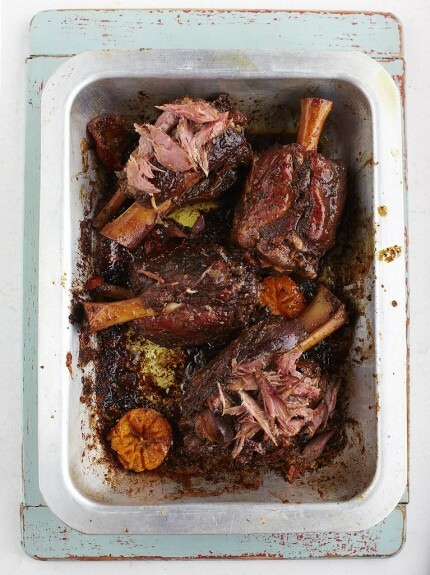 If you want to stick to a Christmas ham but still try doing something totally new then I don't think you could go far wrong with these Jerky Ham Hocks. In the photo, this meat looks like it is the most tender of tender, and that is my absolute favorite texture of meat. 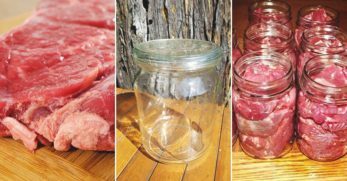 As much as I think this recipe is great with the ham hocks, you could definitely use the jerky seasoning on other meat like chicken or other cuts of pork. If you are cooking for a lot of people this Christmas then this would be a great recipe to try out, as it will have a barbecue-like flavor that no one will want to argue with. 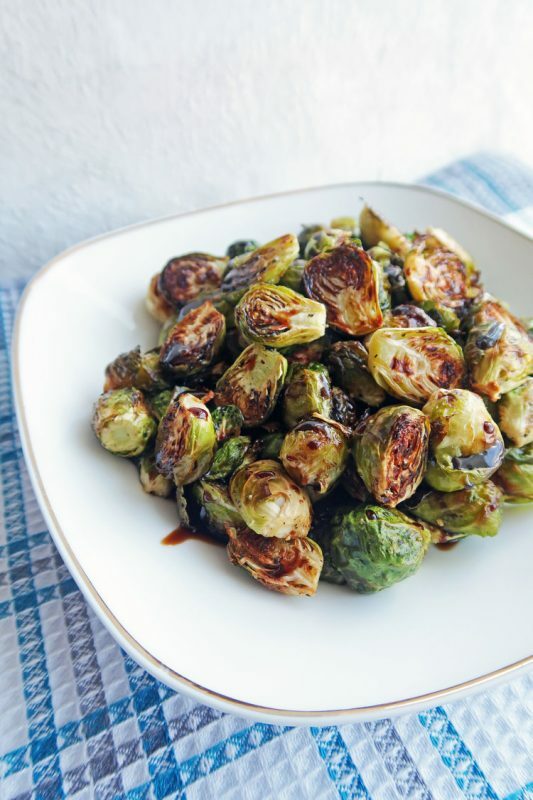 I like the idea of roasting Brussels Sprouts instead of boiling them, and think this would give them both a much nicer texture and flavor. 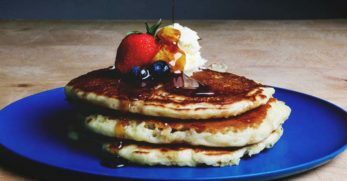 The combination of the balsamic and maple for the glaze means that neither flavor will be overpowering, and instead, they will work together to create a nice mixture of sharp and sweet. This recipe also gives some helpful tips for choosing which brussels sprouts are best to buy, which I think is incredibly useful and I will definitely be sharing these with friends and family. 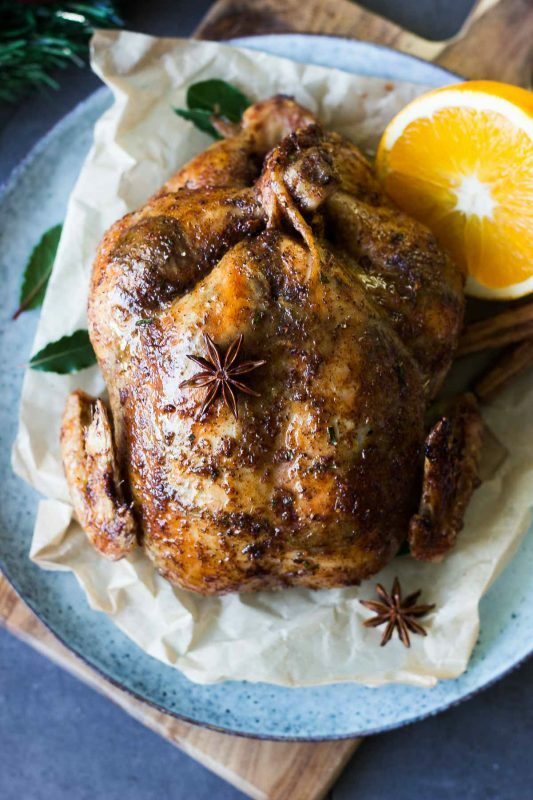 I have never associated chicken with Christmas, purely because we tend to have it for our regular Sunday roast dinners, but this recipe for Christmas Roast Chicken looks delicious. 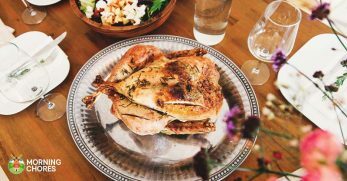 It is true that turkey can be difficult to keep moist, whereas chicken is a bit easier, so if that's a worry for you then you could easily make the switch. 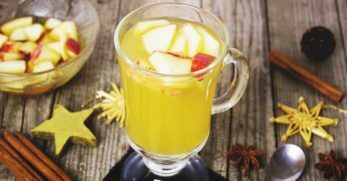 Name a festive flavor or spice and it will probably be on the ingredients list, it really is perfectly suited to this time of year. 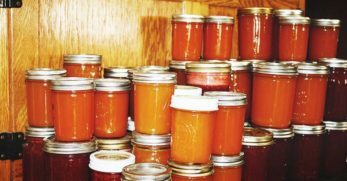 There is orange zest, cinnamon, cloves and many more, just imagine the smell of all those combined wafting through your house on Christmas morning. 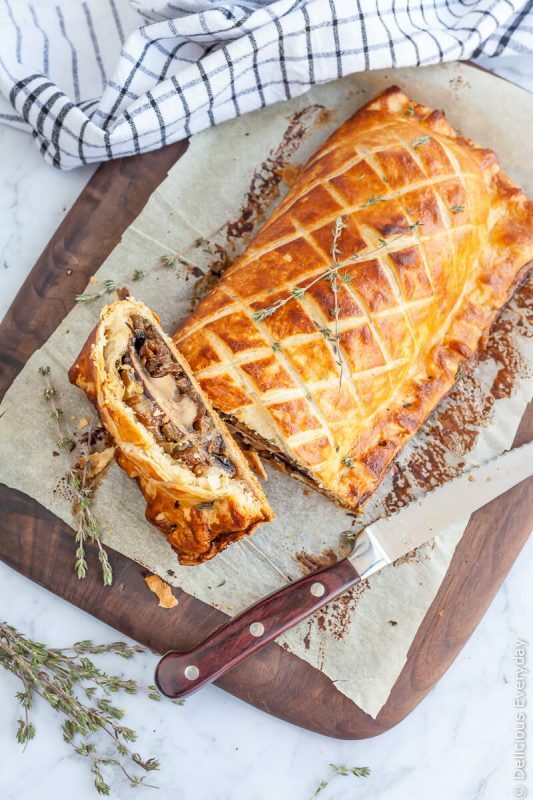 I love my meat so I couldn't fully substitute my usual Christmas dinner for this Mushroom Wellington, but I would certainly have a large slice on the side. This Wellington looks absolutely packed full of mushroomy goodness, and the pastry looks perfectly golden and flakey while still holding that traditional shape. The onions would add just the right tiny hint of sweetness, and you'd get a nice little kick from the mustard. 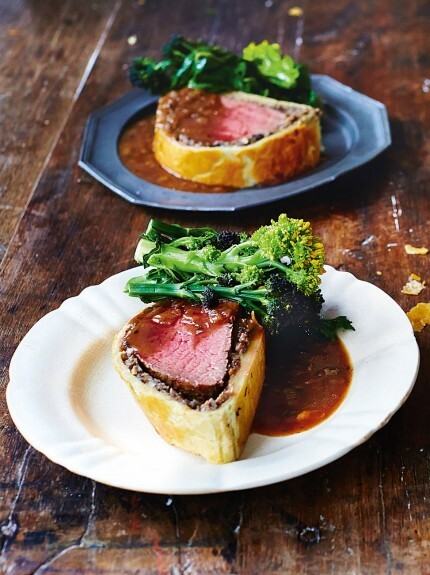 For a bit of a complicated cooking novice like myself, this looks far more achievable than a Beef Wellington, and I think I will use it as a stepping stone in working my way up to the original. This Apple Cider Maple Glaze looks like exactly what I would want to be slathering all over my baked ham at Christmas. You could, of course, cut the ham however you wanted, but I really like how thin the slices are in this example. Not only would this make it easier to eat, but it would also mean that each slice could really absorb all of those amazing juices and flavors from the glaze. There is a nice mix of sweet and spiced ingredients in this recipe, and any remaining glaze could be used as a delicious sauce for potatoes and vegetables. Consider your festive appetizers totally sorted with this Turkey Sausage Puff Pastry with stuffing and cranberry. 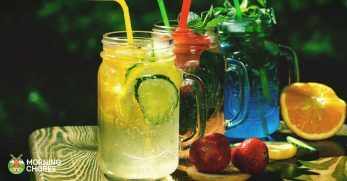 You can already be sure that all the flavors work together, and you could even experiment by adding a few of your own. I think a little crumbling of blue cheese could be really delicious. 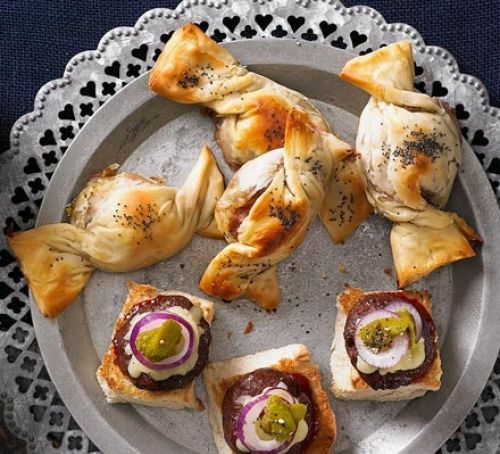 It's like a mini Christmas dinner all packed into a pretty little pastry, and I think these would be perfect either on Christmas day itself or at parties surrounding the big day. I think you could most probably make them from leftovers too, which is a big plus. I can't really imagine a Christmas dinner in my house without some honey roasted vegetables, they really are a family favorite. 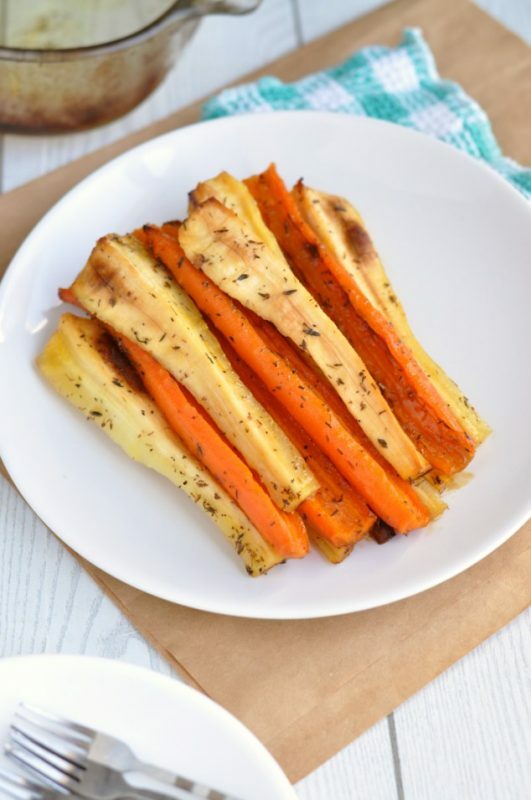 I really like the fact that there aren't loads of ingredients in this Honey Roasted Carrot and Parsnip recipe. There are of course some delicious recipes out there with many fancy bits and bobs going on, but when it comes to vegetables for me I want them to compliment the main components of a dish, not entirely take over from them. This recipe looks like the perfect balance between delicious and not too spotlight stealing. 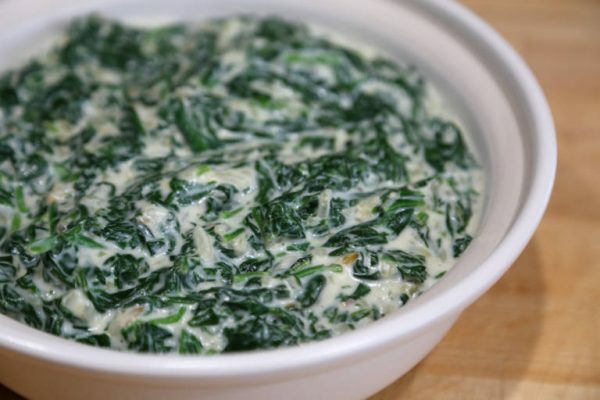 As much as I love Creamed Spinach, I have never thought to make it at Christmas because it isn't really traditional at home. I am definitely not against changing that, however. You get a whole lot of creamed spinach recipes with lots of other bits added into them, so you could definitely go for something like that, but I like to keep it quite simple with a lot of my side dishes so I think I would stick to this recipe. 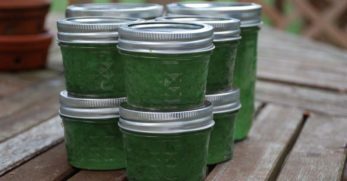 It really does look like the creamiest creamed spinach that you ever did see, and there is even a suggestion of how to doll it up a bit with some golden breadcrumbs on top. 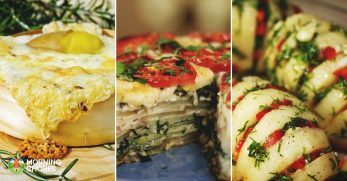 My plans for my Christmas dinner changed with pretty much every new recipe I found, they literally all look so delicious. I think I might have to invite my entire neighborhood and their extended families in order to get rid of all the food I will inevitably end up making. 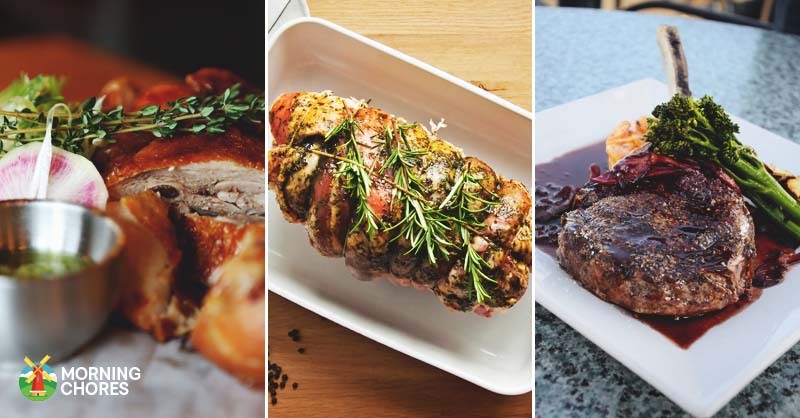 If I were cooking for a smaller group of people I would definitely try out the lobster stuffed beef tenderloin for a little bit of luxury, maybe even along with some of those rosemary roast potatoes. 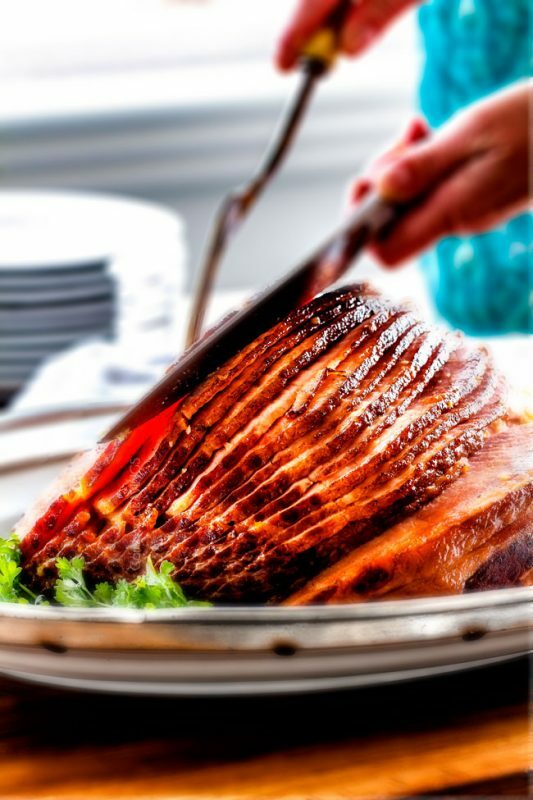 As much as I love my traditional turkey, maybe I will try and change up my choice of centerpiece this year, with the pork crown roast or one of the many glazed ham options there are out there. Do your family always go for the same menu on Christmas year after year? 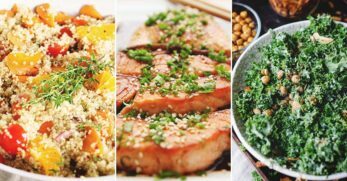 Are you willing to take the leap to try out a new meat or would you rather experiment with different side dishes instead?